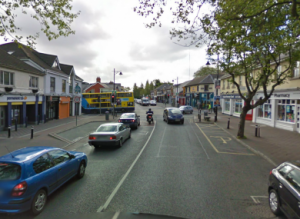 Local TD and Minister for Health Leo Varadkar has welcomed the €2.58 million allocated this year to upgrade roads, footpaths and other local amenities in Dublin 15. The funding will cover road and footpath maintenance and improvements, traffic management, park improvements, public lighting, cycle paths and other important projects. It’s being allocated by the National Transport Authority (NTA) and Fingal County Council (FCC) for the Programme of Works 2015. “These projects will make a big difference to people living in Dublin 15 and across the local authority area. It’s a significant investment which will benefit communities and allow some vital projects to go ahead. I want to thank the Deputy Mayor of Fingal Cllr Ted Leddy, Cllr Eithne Loftus, Cllr Kieran Dennison and the Fingal County Council staff for helping to secure the funding,” Minister Varadkar said. o reinforcement of events area to facilitate funfair, ice rink etc. • Playing Pitch improvements €45,000 to carry out annual drainage and surface improvements to over 50 playing pitches. • Mulhuddart cemetery €25,000 to complete extension (planting and pathways) and complete area for interring of ashes. o Design, planning and subsequent implementation of key elements such as pedestrian movement improvements (pedestrian crossings, footpath widening etc. ), cycle network development, bus support measures.